In the Xbox One Game At Sundown: Shots in the Dark you can unlock a total of 20 achievements, with a total of 1,000 Game Score. In this Achievement Guide we show you all the achievements and their tasks. Below you will find all the achievements, as well as tips, solutions and all collectibles. You will definitely find everything related to the achievements here! 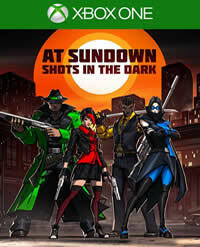 More Guides and News about At Sundown: Shots in the Dark you will find on our overview page.